You can’t make good decisions for your business without accurate financial statements. If someone is inputting the wrong information, or putting it in the wrong locations, then you’ll have financial statements which can’t be relied upon. Your job as the owner is to review accurate financial statements on a monthly basis. You don’t need to know the intricacies of how each entry is made. You do need to know enough to question if the statements don’t appear to be right. 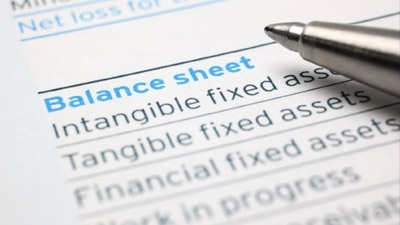 First, ensure that the balance sheet balances. Assets must equal liabilities plus net worth. If they don’t balance, you can’t trust anything on the statement. Then, if your feeling is that “the statements just don’t seem to be right,” keep looking. One of my favorite statements is that financial statement fruit salad is a recipe for disaster. It is one of the most common ways that I see financial statements being inaccurate. For example, if revenues (apple month) are put in one month and the expenses against those revenues are in another month (orange month), you have fruit salad (apples and oranges). You do not want fruit salad. You want only apple salad. Revenues must match expenses in the same month. This helps ensure that you can make accurate decisions about your revenues and direct costs. If you put revenues in one month and expenses in another month, then you are fooling yourself. Here’s what happens: The month with the revenues and no expenses will look like a great month from a profit perspective. You’ll be feeling great about the business. The month that has the expenses and no revenues will be a profit loser and you’ll feel bad about the business. If there is a sale in one month, then the direct costs for that sale must be in the same month. Seasonality can mask your opinion of your financial statements. Many times the thought is, “We didn’t do enough work so we should expect a loss this month.” Even in slow months (from a revenue perspective) your gross margin still should be consistent. There may not be enough sales volume to cover the overhead so the financial statements show a loss. 1. Inconsistent job/project pricing. One project you bid at a 45% gross margin. The next one you bid a 30% gross margin. The third you bid a 20% gross margin because you want the project and you think that it will lead to others—it may or may not. In slower times of the year you might make a conscious decision to lower gross margin to win more projects. If you make this conscious decision, then the gross margin that you sell at should still be the gross margin shown on the monthly financial statement. 2. Missed project estimates. You estimate 12 hours on a project and it takes 16. Or, on the positive side, you estimate 12 hours and it takes 8. Either way, your gross margin will be affected. Either way, you need to find out why you missed the budget. If you are under budget, find out how to stay under budget. If you are over budget, find out why the estimate was missed and what you can do to avoid that mistake the next time. 3. Warranty expenses. For those who sell products, warranty is an additional expense with no revenues against those expenses. In the case of warranty, you may recover part of the expense when you submit warranty claims. In the case of callbacks, you have a very little chance of recovering the expenses. This decreases your gross margin. 4. Expense inventory. You get a large stocking order and expense it. When you order materials for future use, it is inventory until you use it. Once that part is used on a project, it is taken out of inventory and put in job expense. You always need a revenue to offset the materials expense. 5. Theft. Employees don’t charge customers for materials they use. Or the materials disappear. Theft is usually discovered during inventory counts when the actual inventory is much less than what it is supposed to be based on the balance sheet value. Hopefully, this is not the case in your company. Make sure that your gross margins are consistent. This is one way to ensure that you are generating accurate financial statements that you can use to make prudent business decisions.